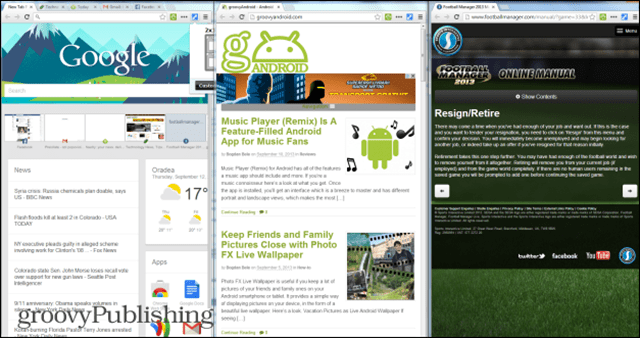 If you like using multiple browser tabs at the same time on your monitor to multitask, these free Google Chrome extensions will make your life much easier. 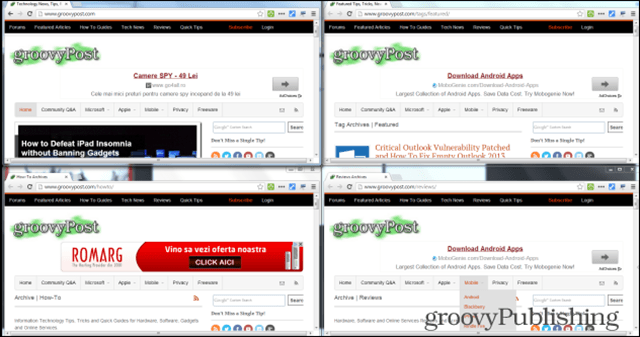 This Google Chrome extension is everything you’ll need if you use multiple windows at the same time. For example, if you’re simultaneously watching video streams of four football games, you’ll love it. But of course, your boss would rather have you multitasking on the web and Google Docs. 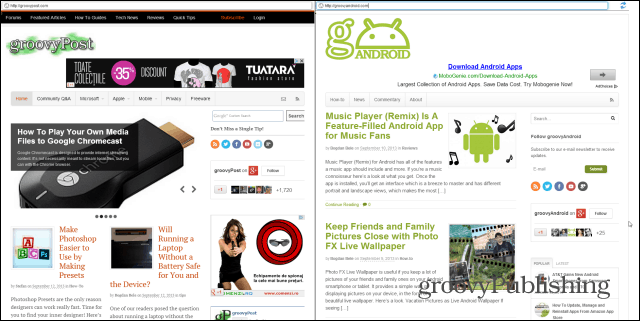 Install from the Tab Resize — Split Screen Layouts extension from the Chrome Web Store. After the extension has been installed, you’ll find a new button in the browser. Make sure you have the tabs you want on your screen already open. Click the extension button and you’ll be presented with a number of possible tabs resizing options. As you can see it offers a nice variety. Click the layout you prefer to apply it. Now you can see multiple tabs at once, without having to go through the tedious process of resizing them manually. If Single Tab is ticked, only the current tab will be affected. 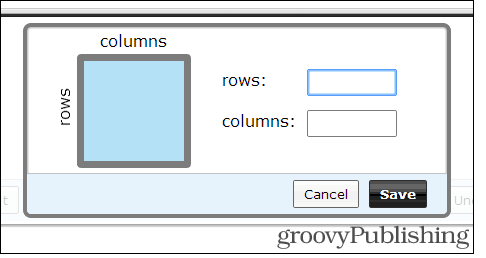 If none of the default sizes are good enough for you, click Custom and enter the number of rows and columns you want. But what if you don’t want to resize anything and you just want to compare two websites, side-by-side? It’s possible with the Split Screen Extension. 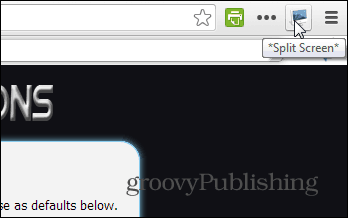 Once installed, click the extension’s button next to the address bar. Once you do that, your tab will be split in two – you can enter a different web address into each one of the two parts. This should make it easy for you to compare two articles or websites, or wait for some content to load while you’re reading the news. This method will make sure that no time goes to waste. The Split Screen extension includes some other features that will make your life easier. Clicking the Refresh icon on the top left side of the screen will split your screen horizontally, which can be useful when translating a message. A Notepad feature is also provided so you can save what you’re writing. The great part is that the text you’re typing will be waiting for you next time you start the extension.